One of the great innovations that you can find in the new edition of Windows: Creators Update, is the native support for Blue Light Technology that focuses on the user’s visual health. Although many people don’t know what this technology consists of, Microsoft decided to take this step and introduce this feature in Windows 10. What is Blue Light Technology? Blue Light is a technology responsible for reducing blue light emitted by LCD monitors which reflect in a benefit to the health of the user as it helps reduce eye fatigue and contributes to improving the sleep patterns. Reduction of the blue light of the monitor while preserving the authenticity of the colors. Better health and well-being for the user. It minimizes the contrast and temperature of the screen allowing better visual health. Now, you will see how to enable and set up this new feature in Windows 10 Creators Update. 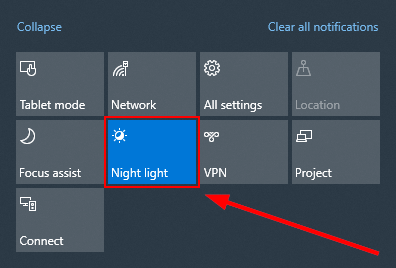 Click on the Night Light button. This temperature changes some of the colors of the light spectrum over the others, that is why you see a scale of colors where you drag the bar to the desired color. 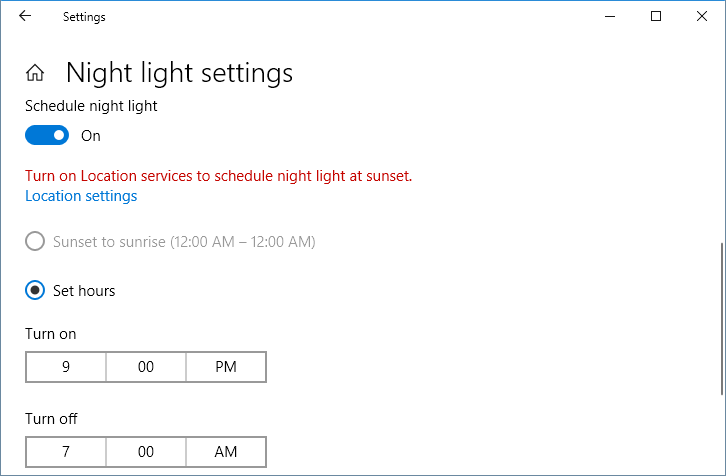 This option gives you the possibility to set and schedule at what time of the day the Blue Light technology will be enabled in Windows 10. In this case Night Light will turn on at 9:00 PM and turn off at 7:00 AM. 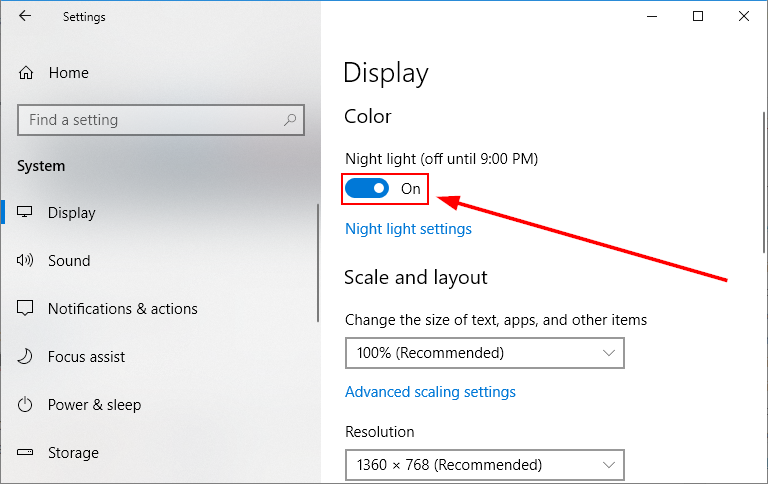 Just select your hours to turn on and off the night filter in Windows 10. Remember that this new feature will only be available in the Creators Update edition of Windows 10. Some users can’t access this edition of Windows 10 but want to have a tool that gives them the possibility of improving visual health, for this you can use the f.lux tool which allows us to set up various parameters of the screen. You have seen how Windows is thinking about the welfare of its users in the new Creators Update edition. In this way and with this practical feature you will be able to avoid or at least reduce the damaging impact of the light of the monitor on the sight, causing syndromes such as tired eyesight. I thank you with all of my heart for this nice construction. I think it is great how Windows enabled this in the system configurations. I put it on at all times, because otherwise my eyes would hurt too much. Besides, I try to maximalize a certain number of hours spending in front of this Laptop.